This is a Christmas-centric post. For those of you who do not celebrate Christmas, I apologize. A number of these ideas could be repurposed to count down towards other events, or just as a festive anticipatory game. So I realize this is several days after the first of December, but hey – if you’re like me, you’re just starting to realize you better get in gear for holiday type stuff. I love decorating more than pretty much anyone in the world, and even I can’t get it together for the first of the month. 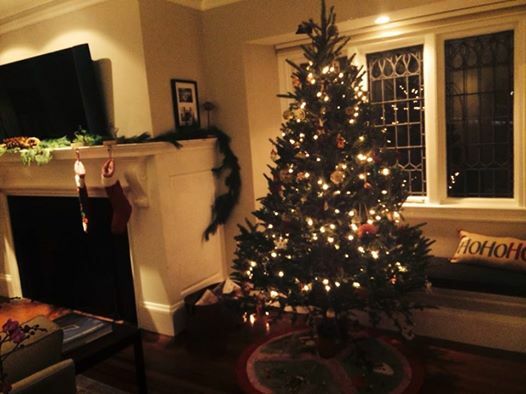 My sister’s house, the day after Thanksgiving. I can’t live up to this. 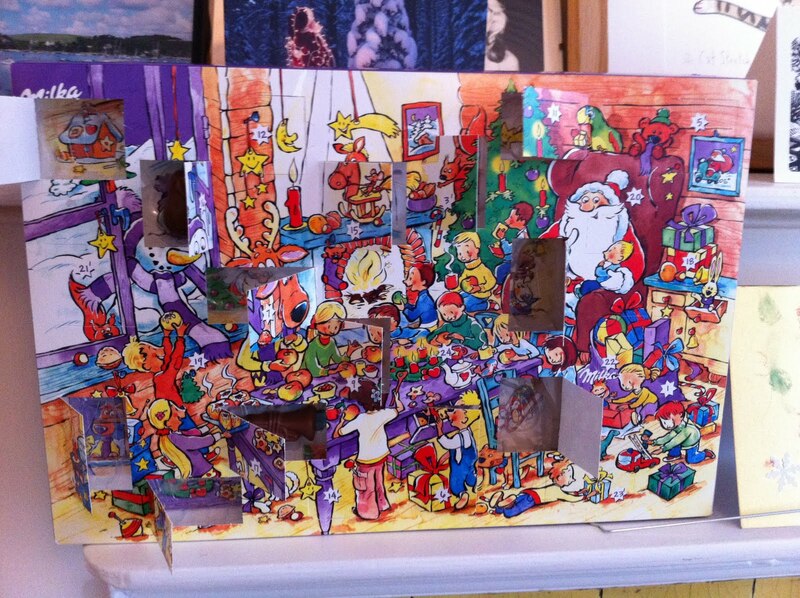 When I was a kid, we got those punch out advent calendars every once in a while, with every window hiding a tiny chocolate. I’m pretty sure I also remember punching all the days out at once to get all the candy. There’s something magic about anticipation, and counting down to Christmas morning was always a huge part of the season. December lasted so darn long as a kid – unlike today, as I’m thinking THREE WEEKS HOW WILL I POSSIBLY GET IT ALL DONE. I present to you a number of festive, interactive, possibly-new-to-you ways to count down the days of this month. Should you choose to make one this weekend, you only have to make there weeks’ worth. You’re welcome. Set up a calendar of sealed or stickered-closed envelopes. What goes inside? Consider love notes (“Day 14: reason #14 I love you”), or coupons (“Redeem for one enormous smooch” or “Redeem for one 24 hour period of not hearing a single word about how messy your room is”). For something more interactive, consider co-writing: multiple kids or you and your kiddo write for each other, so everyone has their own personal goodie each day. Here is one family’s envelope calendar – complete with ideas for daily festive activities for filling the envelopes. I found this photo on apartmenttherapy.com, listed as an advent calendar idea, but the link it led to was broken. Which means I get to make up what I think it is! 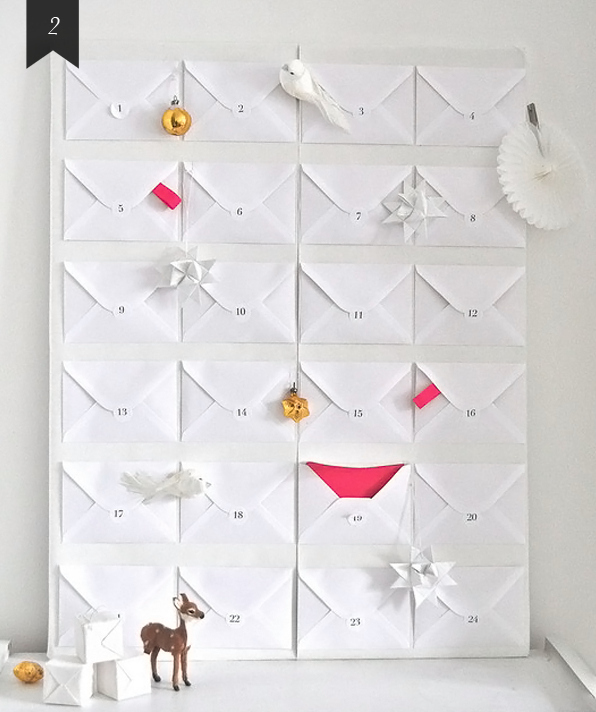 And what I think it is is fabulous: instead of pre-setting an advent calendar, create one together as the month goes. 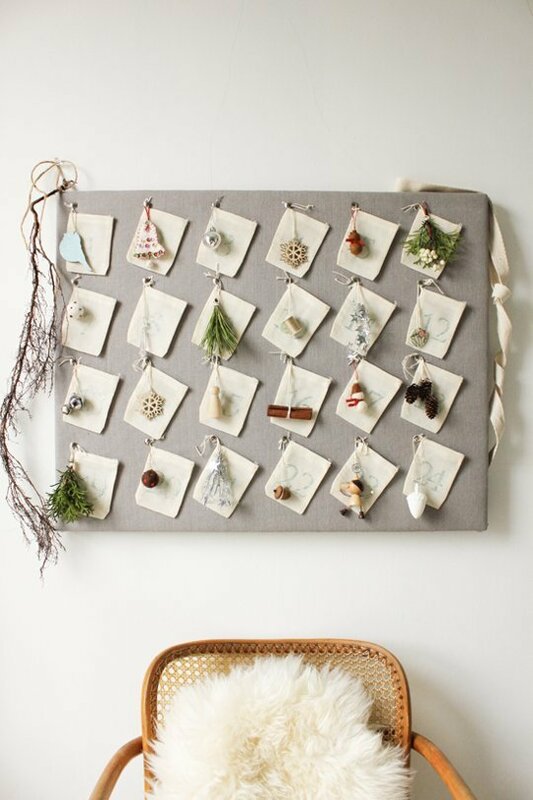 Pre-set a corkboard or wall space (or string up a wire, set up a mini tree, etc.) with a pin (or clip, or magnet) for each day of the month. Every day, have your kiddo bring home a found object or a drawing – label it with the day of the month, pin, clip, or attach it, and voila – a created calendar without the need for you to be inventive ahead of time. Yoko Ono’s Wish Tree has been making the rounds of museums and exhibitions since the 1990s. Create a wish tree of your own to count down the days. Choose a tree in your yard, a plant in your home, build a tree, collage a tree – anything that works for you and your space. Each day, write a wish or hope on a ribbon, a tag, or a piece of paper and tie to your tree. Want to be official? 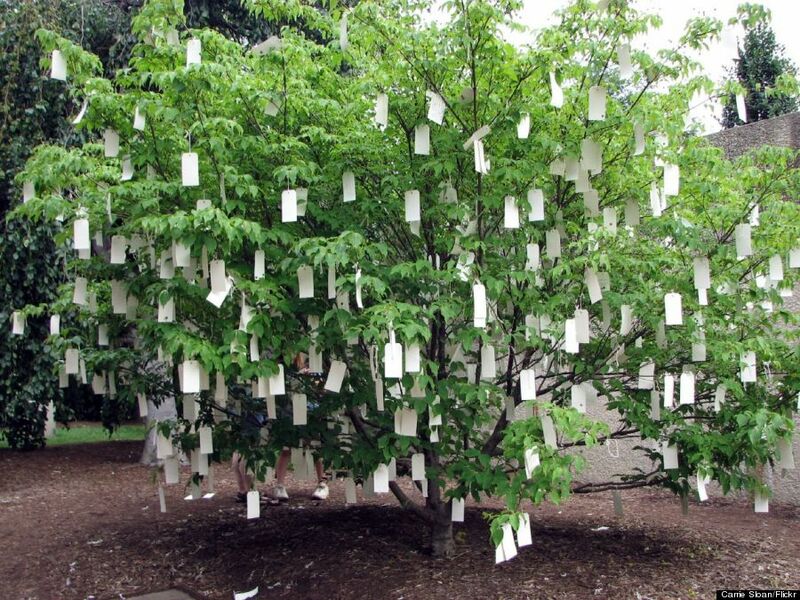 Here is a link to Yoko Ono’s Wish Tree page. Other countdown ideas? Let us know! Previous Previous post: A Brief Discussion of Gratitude in a San Serif Style. Next Next post: Nothing Spreads Holiday Blessings like Two-Day Shipping. LobeStir Create a free website or blog at WordPress.com.